FTP, or File Transfer Protocol, is a protocol used to transfer files on a network, for instance internet. Users can save files onto their web hosting account on the internet or the other way around, which is an important thing for websites builders. You can let your friends and coworkers share files to your account. 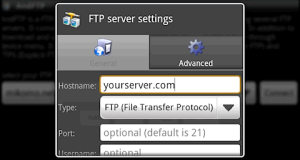 FTP Server and Client apps is very commonly used in order to upload files to and download files from an internet server. At present, Android is slowly but surely taking over computers’ tasks. The same goes for an FTP server and client. On Android’s play store, you can now find a lot of apps that let you use FTP. Take a look at the list below for the best FTP servers and clients for Android, iPhone, iPad, tablet. It has a very great and clean interface, featuring tabs that can be quickly switched by swiping them. The file manager gives fast and easy access to all your files, and it even lets you scan for data for even faster access. You can use FTP compression to compress your files, which secures your files which they are on the internet and is available for free download. This app is also available in German, Dutch and Swedish! Using this best FTP server application, you can read and edit any files on your device and SD card. You can make and edit your own account, or, if you prefer, you can stay anonymous. If your Android phone is rooted, then you might want to have this free FTP server over others, as it lets you browse and read hidden files with its built in file manager. This one has many more languages to choose from, Spanish, French, Chinese, Russian, Italian and much more! Download FTP server which is available fro free. This application is probably the most download FTP client on play store. Over 1 million people around the world use it. However, it doesn’t have something extraordinary. What makes it so popular is that it does what it is supposed to do and it always works. Most people who have used it, don’t complain about it at all. Turbo Secure FTP client & SFTP client has the most beautiful graphics out of those I have mentioned. The developers have spent so much time on this. It works so smoothly and fast. There’s not a single advertisement inside the app, even though it’s completely free. It is optimized for android tablets, and follows the last android design guidelines. A plenty more features can be said, but go check them out yourself by downloading it from the play store. With this app, you get all the accesses you want. You can restrict only use wifi internet, or use the 3G network. 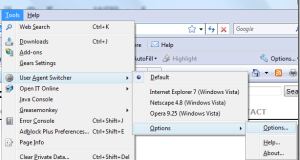 Folders can be prohibited from some client to access to it, and you can also shutdown the site on command. The special thing is, this secure FTP server lets people with android version 1.5 to use it. Most of the apps on play store, don’t support them anymore, leaving this app out as the only choice for them. We hope you have found “the app”. If not, we suggest you to take a look at some of our other articles with more recommendations.